New York, NY (July 1, 2017) – The Lymphoma Research Foundation (LRF) – the nation’s largest non-profit organization devoted exclusively to funding innovative lymphoma research and serving the lymphoma community through a comprehensive series of education programs, outreach initiatives and patient services –announced the recipients of its 2017 Postdoctoral Fellowship Grants, representing more than $700,000 in additional funding for leading lymphoma researchers in the first five years of their careers. The Lymphoma Research Foundation has named seven Postdoctoral Fellowship Grantees for this year’s class, many of whom will embark on their first projects as principal investigator. The 2017 Postdoctoral Fellowship Grantees include Ronan Chaligne, PhD, of Weill Cornell Medicine; Anja Deutzmann, PhD, of Stanford University; Mark Geyer, MD, of Memorial Sloan Kettering Cancer Center; Ta-Ming Liu, PhD, of Dana-Farber Cancer Institute; Coraline Mlynarczyk, PhD of Weill Cornell Medicine; Jouliana Sadek, PhD of Weill Cornell Medicine; and Tai Wang, PhD of Memorial Sloan Kettering Cancer Center. “LRF’s Postdoctoral Fellowship Grants allow us to support early-career scientists who are making crucial contributions to our understanding of the biology of lymphoma, as well as identifying potential new therapies,” said Thomas M. Habermann, MD of Mayo Clinic, Chair of LRF’s Scientific Advisory Board. Originally created in 1992, the Postdoctoral Fellowship Grants are open to clinical research projects, laboratory-focused bench research (e.g. identifying biomarkers) and translational research geared toward moving new bench discoveries to the clinical setting as well. The Postdoctoral Fellowship Grant program, in combination with LRF’s Clinical Investigator Career Development Awards and Lymphoma Clinical Research Mentoring Program, are representative of LRF’s unique commitment to funding the most promising research from today’s top young investigators, ensuring that these bright young minds are able to continue in their commitment to the finding a cure for all blood cancers. Applications for the 2018 Research Grants, including Clinical Investigator Career Development Awards and Lymphoma Clinical Research Mentoring Program are now open and must be received before September 6, 2017. For more information about lymphoma or the Foundation’s research portfolio, visit: lymphoma.org/research. 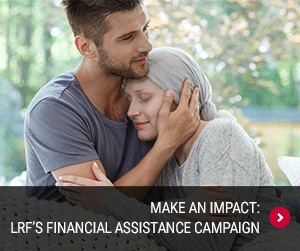 The Lymphoma Research Foundation (LRF) is the nation’s largest non-profit organization devoted to funding innovative research and serving the lymphoma community through a comprehensive series of education programs, outreach initiatives and patient services. To date, LRF has awarded nearly $60 million in lymphoma-specific research. 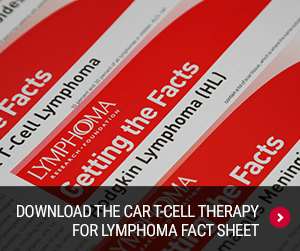 For additional information on LRF’s research, education and services, visit lymphoma.org.